Apple gives iCloud users 5 GB of free storage, but that fills up fast with iCloud Photo Library, iOS backups, iBooks, and more. Until iOS 11 and macOS 10.13 High Sierra, each person in a family had to buy extra iCloud space separately. Happily, Apple has now made it so everyone in a Family Sharing group can share a single 200 GB ($2.99 per month) or 2 TB ($9.99 per month) plan. The family organizer can start sharing storage in High Sierra or iOS 11 as follows: on the Mac, go to System Preferences > iCloud > Manage Family > My Apps & Services > iCloud Storage; in iOS, go to Settings > Your Name > Family Sharing > iCloud Storage. Any other family member can then cancel their paid plan and join the Family Sharing plan using their iCloud Storage screen. You’ve undoubtedly seen those odd-looking square QR codes on product packaging, a business card, or a flyer. In the past, you needed a special app to scan a QR code to see what Web URL, contact card, Wi-Fi network, or other piece of information it held. In iOS 11, though, you can just point your iPhone or iPad camera at a QR code—no need to take a picture! Then tap the notification that appears at the top of the screen to display whatever data was encoded by the QR code. Distracted driving may not make headlines, but it’s a huge problem. In the United States in 2015, the National Highway Traffic Safety Administration says that 391,000 people were injured and 3477 killed in accidents caused by distracted driving. Many things can distract drivers, but the most concerning—and the most avoidable—is texting. Given that the iPhone has a 30–40% share of the market, it might have been involved in as many as 100,000 injuries and 1000 deaths in just 2015. Not good. Apple has stepped up to the plate by introducing the Do Not Disturb While Driving (DNDWD) feature in iOS 11. You’ll be prompted to enable DNDWD when it first detects that you’re driving in a car after you install iOS 11. In normal use, it activates automatically when you’re driving, blocking notifications and preventing you from using apps until you stop the car. Here are answers to the most common questions we get about DNDWD. How does the iPhone know that I’m driving? The most reliable way is that your iPhone has connected to a car via Bluetooth. Obviously, that requires the car to support Bluetooth, and that you pair your iPhone with it. If there’s no Bluetooth connection, the iPhone uses its accelerometer and signals from nearby Wi-Fi networks to figure out that you’re driving. In Settings > Do Not Disturb > Activate, you can choose from Automatically, When Connected to Car Bluetooth, or Manually. Stick with one of the first two options unless the iPhone regularly fails to detect that you’re driving, at which point you can add the Do Not Disturb While Driving button to Control Center, and activate DNDWD with it. Will any notifications break through the DNDWD cone of silence? Yes. As with standard Do Not Disturb, timers, alarms, and emergency alerts will still work. Plus, you can opt to receive urgent text messages. To enable this feature, go to Settings > Do Not Disturb > Auto-Reply To and choose a group (Recents, Favorites, or All Contacts). Those people will get an auto-reply—which you can personalize—when they text you, and if they reply to that auto-reply with the word “urgent,” the message will be delivered. If your car has a Bluetooth hands-free system, phone calls will come in as they always have, and you can answer them via your steering wheel controls and carry on the conversation using the car’s built-in mic and speakers. However, if you don’t have car Bluetooth or another hands-free accessory, DNDWD will block calls just as they would be by standard Do Not Disturb. That means you can allow calls from specific groups in Settings > Do Not Disturb > Allow Calls From and let anyone through if they call twice within 3 minutes. Can I still use Maps to navigate? Yes! Maps works on the Lock screen just as it always has, though it’s best started before you begin driving. If you keep your iPhone in a car mount so you can use it for navigating, DNDWD won’t get in the way. Will Siri still work while in DNDWD? Indeed it will, both via Hey Siri and by holding the Home button. But don’t do that—Hey Siri is safer than taking your hand off the wheel to press the Home button. Siri won’t do some things for you while you’re driving, like open apps. Plus, Siri tries to respond to you so that you won’t have to look at the iPhone, reading all responses instead of displaying them on the screen. How do I turn off DNDWD if I’m a passenger? If DNDWD is on and you try to use your iPhone, an I’m Not Driving button appears. Tap it, and you can use your iPhone normally for the rest of the trip. If you’re always a passenger, go to Settings > Do Not Disturb > Activate, and select Manually. Then, if you do want to turn DNDWD on, you can use its Control Center button. So hey, if you didn’t turn on Do Not Disturb While Driving when you first set up iOS 11, do us and everyone else on the road a favor and turn it on now. The life you save could be your own. It’s that time of year again, when many of us start wracking our brains for gift ideas for our loved ones—or for our own wish lists. If your special someone is an Apple user, we have a few suggestions. Chargers, Cables, and Adapters, Oh My! 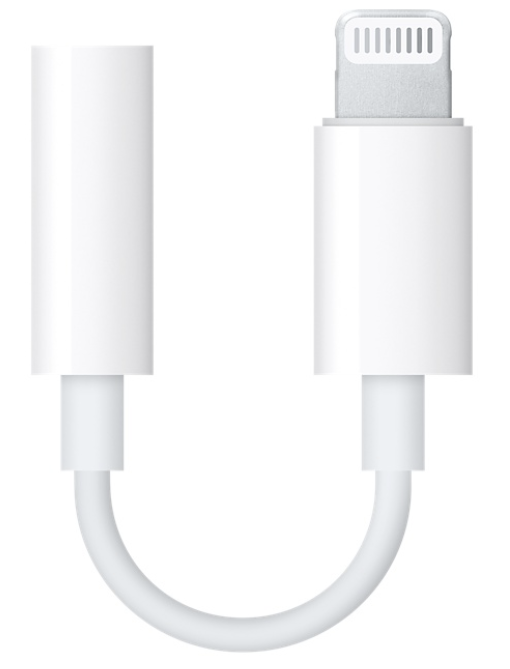 We know that giving someone a cable feels a bit like buying them socks, but Apple’s minimalist design and focus on USB-C and Lightning ports means that many users would appreciate extra cables or adapters. You’ll want to ask them what they find most annoying about their current cable situation—they might want an extra Lightning to headphone adapter, a USB-C to USB-A cable for connecting some peripheral, or an HDMI cable to run a big-screen TV. Plus, giving someone a second iPhone, Mac, or Apple Watch charger could reduce battery anxiety or make it less likely that they’d forget to pack one while traveling. 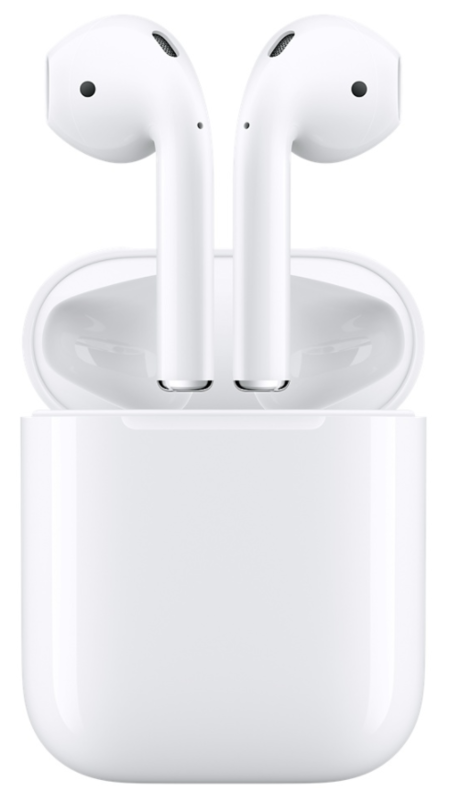 Apple’s most surprising hit of 2017 was the AirPods, svelte wireless earbuds that pair quickly and seamlessly to all Apple devices logged in to the same iCloud account. They’re light, stay in the ear well, and are comfortable even for many people who couldn’t wear the wired EarPods. At $159, they’re not cheap, but they’re still less expensive than many competing wireless earbuds. The only catch? Apple has had trouble making AirPods fast enough, so don’t assume you can buy a pair as a last-minute gift. Apple always intended the Apple Watch as an iPhone accessory, so it makes a great add-on for any iPhone user who doesn’t already have their iPhone in hand most of the day. For most people, the $249 Apple Watch Series 1 is a fine gift, although the $329 Series 3 is faster and brighter, and doesn’t need the iPhone to track a run or bike ride via GPS. Consider the $399 Series 3 with cellular access only if you’re certain the recipient will make use of the watch while out and about without the iPhone, since its data plan costs $10 extra per month. 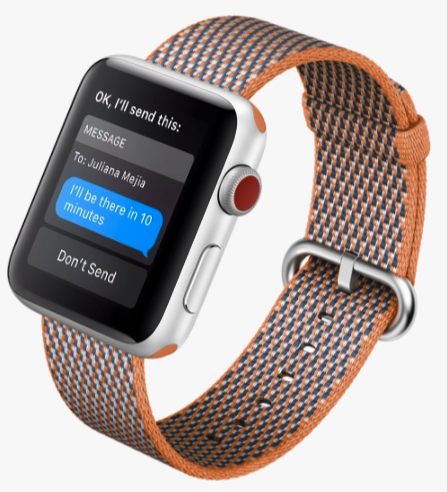 And, if someone on your gift list already has an Apple Watch, a new band might make a great present—Apple offers a wide variety of attractive and comfortable bands. 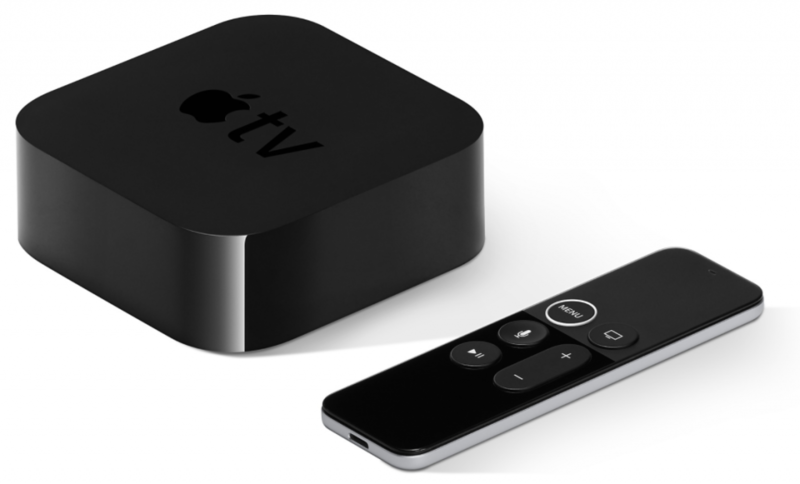 Although it’s a few years old, the $149 fourth-generation Apple TV still makes a good present for anyone who watches TV shows and movies from Netflix, iTunes, Hulu, and other Internet streaming video services. For most people, the $179 Apple TV 4K is overkill, since its support for 4K video and HDR color require a compatible 4K HDR TV purchased in the last year or so. So stick with the previous Apple TV, and if you’re looking for a related stocking stuffer, search for silicone cases that protect the brittle Siri Remote and make it easier to orient in the dark. 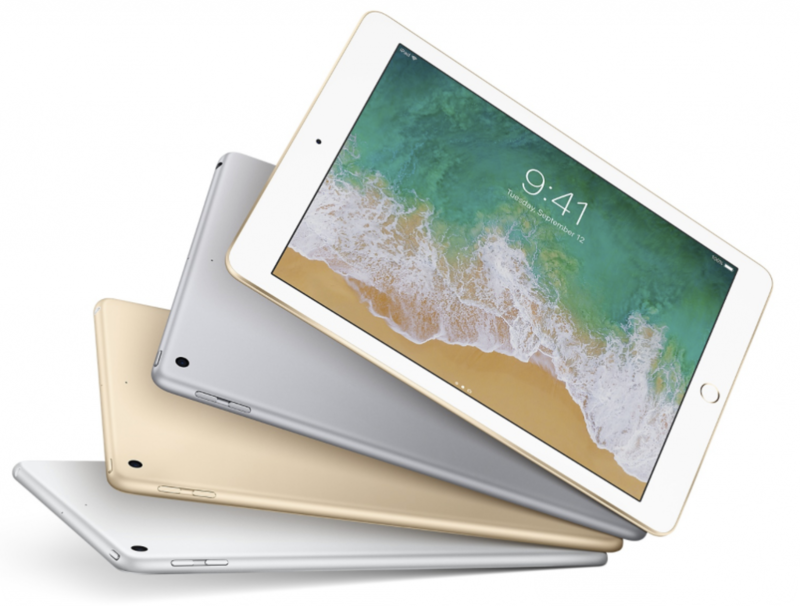 Last, but far from least, if someone in your family has never tried an iPad or is limping along with one of the early models, the current fifth-generation iPad combines good performance and a gorgeous screen with a compellingly low price starting at $329. At $399, the smaller iPad mini 4 doesn’t provide as much bang for the buck, but it could be the perfect present for a child. Particularly when buying an iPad for a kid, a durable case is a must—perhaps suggest that as a gift idea to another family member.